There are numerous benefits of using Argan oil for the face. For centuries it was used by Moroccan women to moisturize and soften their skin. Argan oil is a natural moisturizer for all skin types. It nourishes the skin, fights signs of aging, and can also reduce acne. Most of all, it is completely natural and organic, and is gentle on the face. Argan oil cosmetic benefits are due to its unique range of ingredients, including a high amount of antioxidants, vitamin E and unsaturated fatty acids, which act together to work wonders for the face. Argan oil moisturizes and nourishes the face. It is a natural moisturizer for all ages, and can be used for all skin types as well. Argan oil works to moisturize the face by helping skin cells retain their moisture and nutrients. It’s high essential fatty acid content contributes to the membranes of skin cells and helps strengthen them, enabling them to function well and maintain a healthy balance. This natural oil is also rich in vitamin E, which has natural moisturizing abilities too. 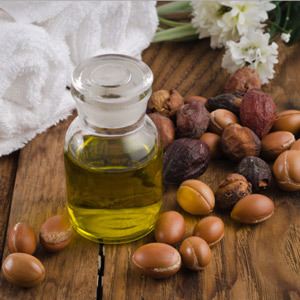 Argan oil moisturizes the skin without making the skin oily. This is because the unsaturated fatty acids in the oil don’t clog pores and cause an excess in sebum production. Instead, it helps maintain normal oil production and the skin’s pH balance. In this way, argan oil helps with both oily and dry skin types as a facial moisturizer. For dry skin, argan oil moisturizes and hydrates the face. For oily skin, it reduces the skin’s production of oil, keeping a healthy balance for the face. Another one of the benefits of Argan oil on face is its ability to reduce the signs of aging. It’s moisturizing effects help to increase the skin’s elasticity, make it firmer and reduce the appearance of wrinkles, fine lines and age spots. Furthermore, this essential oil is rich in antioxidants, such as vitamin E, ferulic acid and polyphenols, all of which have anti-aging effects. They protect the skin cells on your face from damage by free radicals, UV rays, stress and harmful elements in the environment. 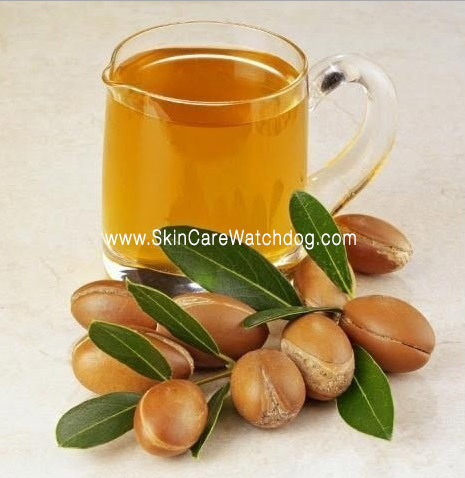 Argan oil is also beneficial in treating acne on the face. Acne is often the result of an overproduction of sebum which clogs pores. As already mentioned, Argan oil prevents the excessive production of sebum which helps unclog pores and reduces the occurrence of acne. The oil also has properties that prevent the redness and inflammation that typically occurs with acne. As well as helping get rid of acne, Argan oil helps reduce the appearances of acne scars and discoloration. The benefits of argan oil on face are clear. Argan oil is a natural and effective moisturizing and anti-aging product for the face. It is gentle and safe for use on the face, and has no side effects. Argan oil nourishes, hydrates and restores the skin. It also acts a natural acne remedy, heals the skin and evens facial skin tone and texture. Argan oil cosmetic benefits leave the face looking youthful, radiant and healthy. Thank you so much for sharing such a useful information related to acne. We can definitely remove acne scars with use for argan oil. Such a great article and thank you for sharing.